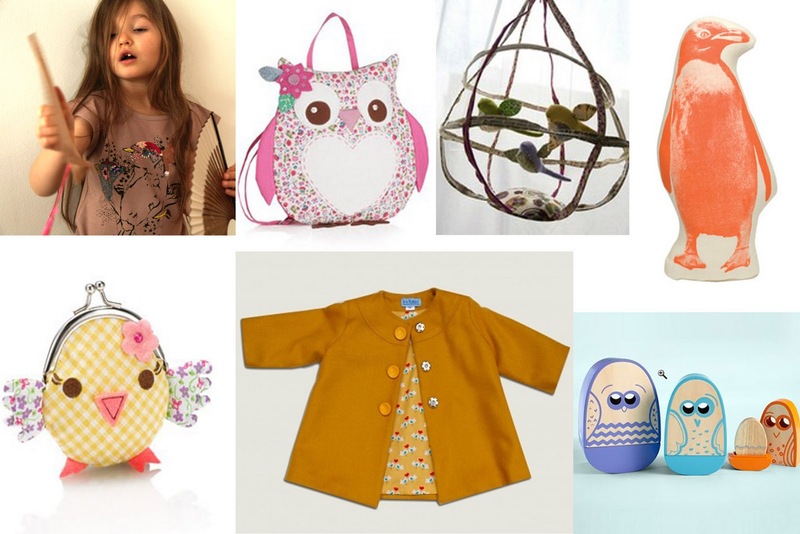 Girly girl MONDAYS: Petit à petit L'OISEAU fait son nid!!! So here are some great things I found for the little and big girls too... L'OISEAU! 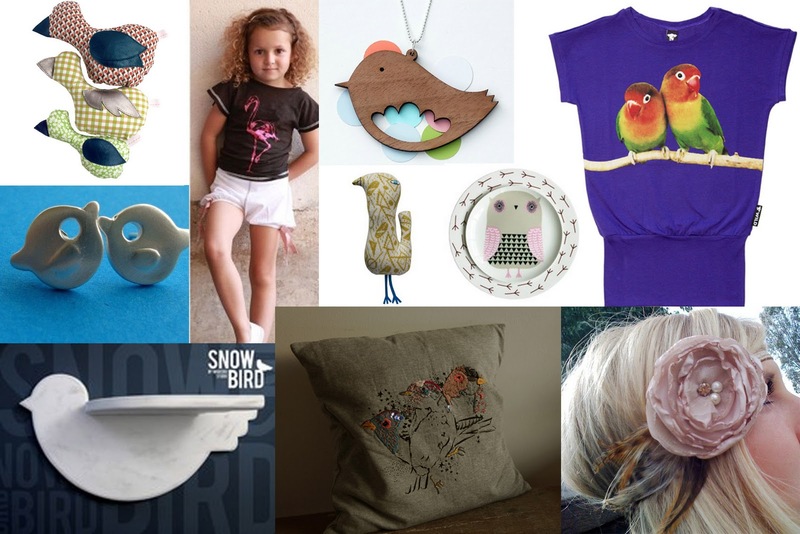 As you will see birds are quite popular these days, The Flamingo & Parrot are two "musts" of the season! 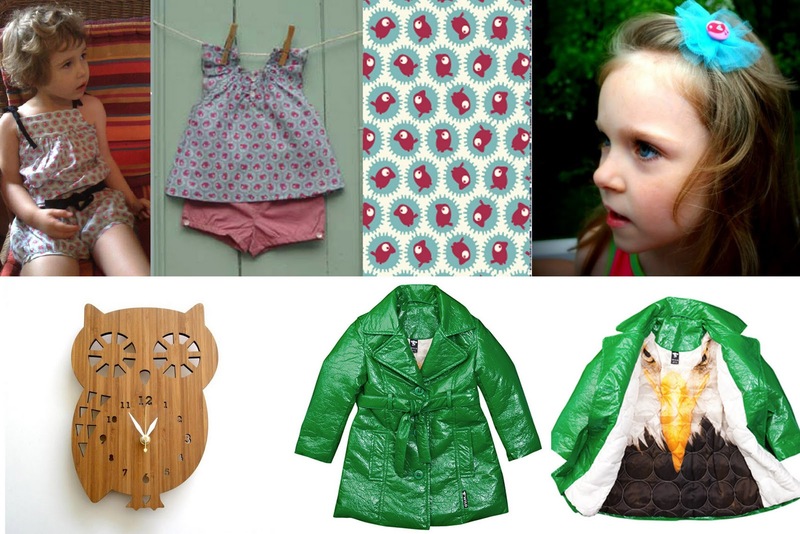 From Left to right: Jumpsuit & Top by La Queue du Chat, Birdie Barrette from Etsy, Owl clock from Etsy, the coolest trench coat ever by Wild. The most wonderful tee-shirt dress by Soft Gallery (you must check it out!!! 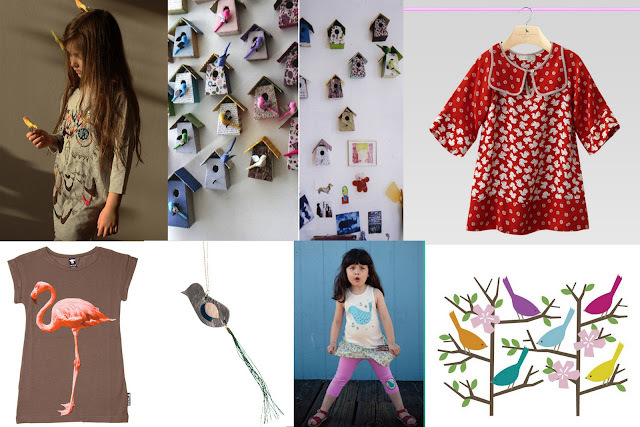 ), Birds & Birdhouse by Tamar Mogendorff, Bird print dress by Stella McCartney, Flamingo tee by Wild, Cute bird necklace by Marie Berte, Bird tank top by Misha Lulu, and Wall decals by Dwell. 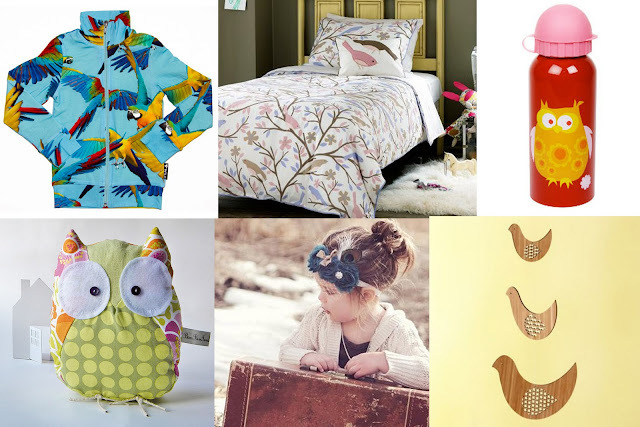 Owl tee by Wild, windup little birdie that sings by Land of Nod, Flamingo dress by Dino e Lucia, cute hand made bird by Country Kitty, fabric wall decals by Mae, and Owl pillow by Areaware. Oh! This one is a little tricky!!!! Just follow the descriptions! Flying birds by Marie Berte, Flamingo Tee by Eva & Oli, Wood bird necklace from Etsy, Quirky yellow plush Bird & Owl plates by Donna Wilson, Parrot Tee by Wild, cute silver earings from Etsy, Bird shelf by Marisko Studio, Embroidered Pillow by Soft Gallery and feather headband from Etsy. Tee with birds by Soft Gallery, Owl bag form Accessorize ( if you live in Toronto, they just opened up a store... Lucky you! But Montrealers we should have one soon! 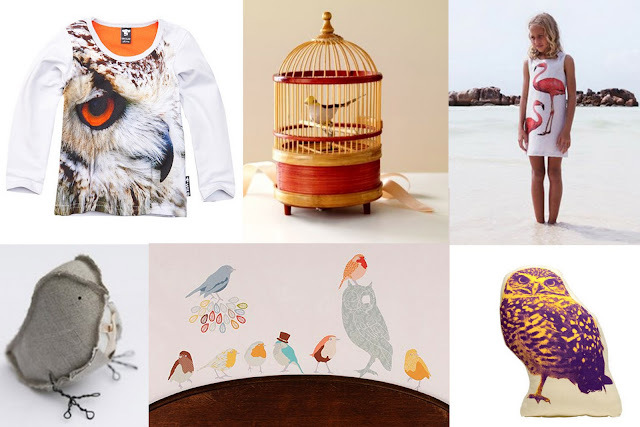 ), Bird cage by Tamar Mogendorff, Penguin pillow from Areaware, birdie coinpurse by Accessorize, Yellow with bird lining Coat by Eva Koshka, and nesting Owls by Land of Nod.